The smell of this tender beef roast cooking in a slow cooker all day will have the family rushing to the dinner table. Place sliced onion in the bottom of slow cooker. Season all sides of roast with seasoned salt, crushed black pepper, garlic powder, roasted garlic season and worcestershire sauce. 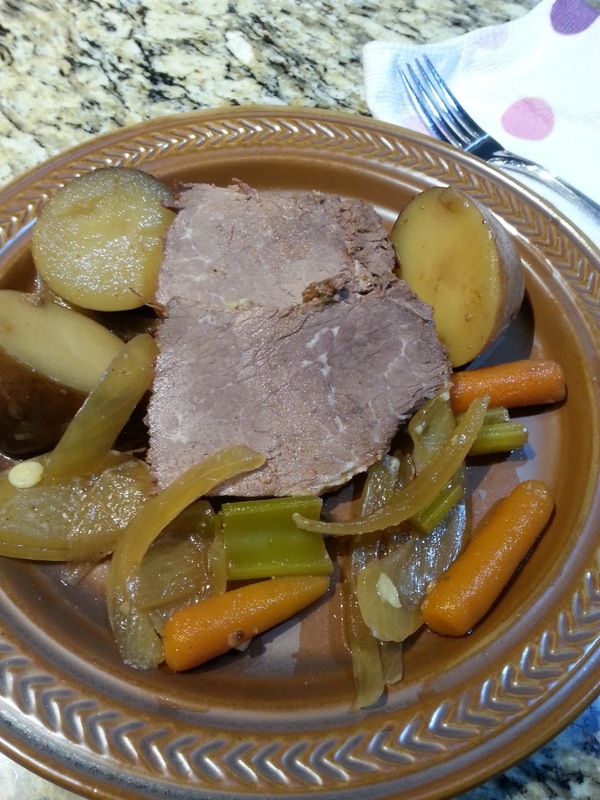 Place roast on top of onions in slow cooker. Place veggies around the roast in slow cooker. In a medium bowl, add mix brown gravy and beef broth, slowly add beef broth so there's no lumps. Add garlic. Pour over roast and veggies. Add bay leaves. Cover and cook 6 to 8 hours, until tender. Note: Chopped celery leaves make an awesome fresh herb.